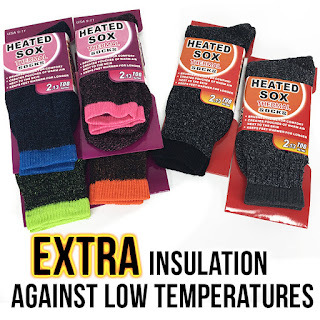 Never can have enough of these Mens and Womens "Heated" Insulated Thermal Socks - Traps Heat to Stay Warmer Longer - One for $5.49, 6 at $4.99, or TEN or more for $3.99 each!! These work wonderfully! Yes, you can mix men's and women's to get the discount! SHIPS FREE!